Derrick and I recently saw GOTG2, and it was quite the ride. Both of us enjoyed it very much. However, to me, I found that it was not as funny as the first, but I don't think this was a bad thing. 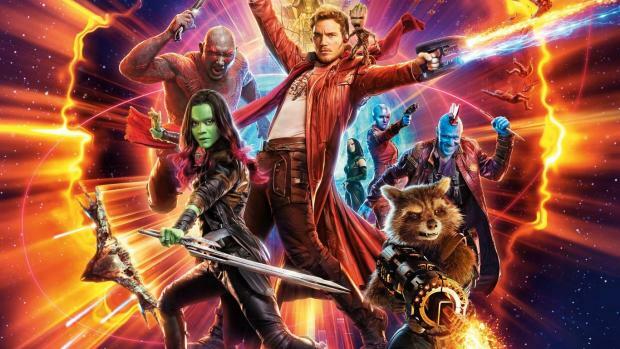 The second movie definitely takes a serious turn in character development, reminding us, as viewers, that even the lovable space nerds go through trials and tribulations much like the rest of the characters in the Marvel Cinematic Universe. It was a pretty great movie though. If you are a big fan of the MCU like I am, then this movie is definitely worth watching. There were some very hilarious moments that I probably won't stop talking about for a while. But keep in mind, there will be some very serious moments. That was something I wasn't prepared for, and I almost cried. Of course, I cry when I watch the Lion King still, so my word might be moot. Regardless, be prepared for the serious moments. Now, moving on to the actual plot, it was a pretty good plot, though I thought it was expected. Once certain characters were introduced, I almost knew exactly what was going to happen. Just the minute details were off. But, of course, like any moviegoer, I sat through it. That doesn't mean that I didn't enjoy it, or that I expected everything that happened to happen. It was just slightly disappointing for me, a 20 year old who doesn't study film, to correctly assume some key plot points before they actually occurred. Overall, it was definitely an enjoyable movie. There are five scenes after the movie ends, so make sure you stay for all of them. Each is amazing in their own right. Of course, our lovable space warriors will be back soon, but until then, I will sincerely miss their on-screen humor. I highly recommend this movie; it was a good followup movie to the enjoyable first volume.